A few weeks ago I had a great experience in Seaside, OR. 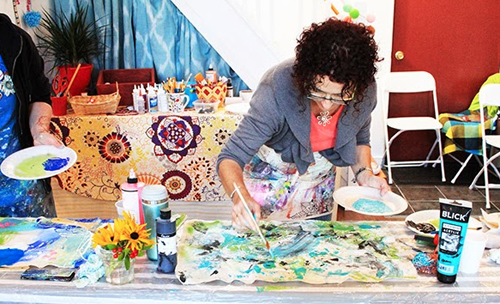 I attended an art retreat taught by Alisa Burke, a talented artist and author. 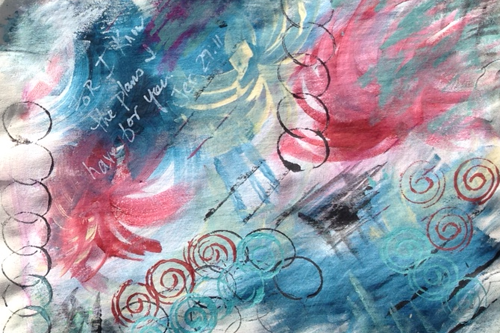 She has a funky mixed media style that usually starts with painted, stamped, and doodled canvas. Her 2-day class, Graffiti Remix, was fun, inspiring and a great way to spend a weekend. 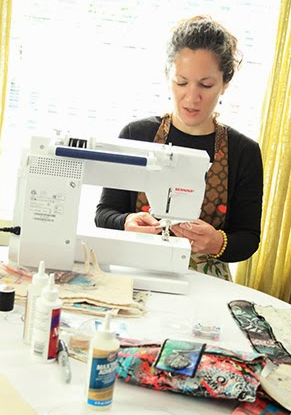 If you’re looking for a new approach to sewing simple projects, I’d encourage you to take one of her classes, either in person or online – you’ll have a great time! 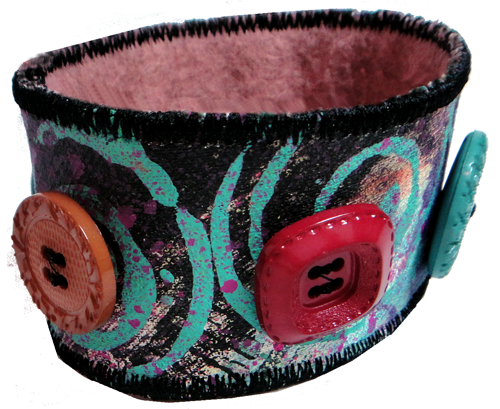 Here’s a look at fabric that I prepared at the retreat and a chunky cuff embellished with buttons that I made from another piece of canvas that I painted. I also took a few photos of other students having getting messy and having fun! 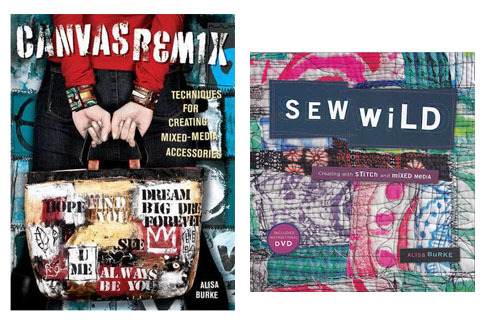 Alisa’s books, Canvas Remix and Sew Wild, are full of her unique techniques. The great thing is that she has such clear instructions. 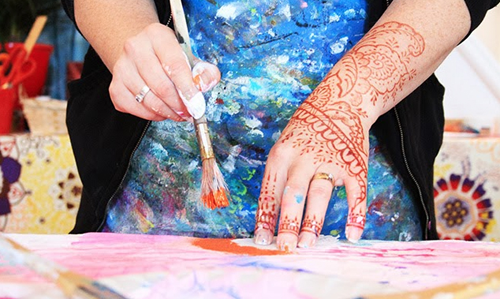 Anyone can be successful and there’s lots of room to create own signature look on your projects.